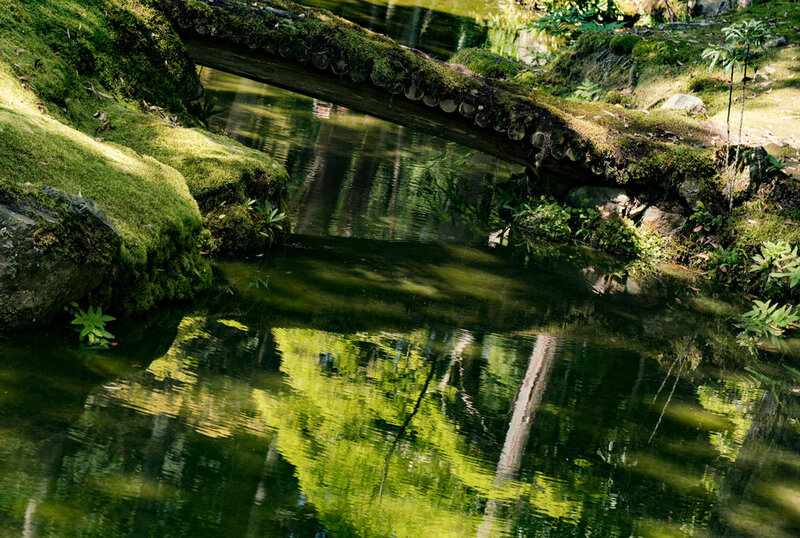 Famous for its lush, verdant moss, Saihoi-ji is one of Kyoto’s most enchanting temples. Nested among the hills of south-western Arashiyama, its rather remote location makes it feel tranquil, secluded, and intimate. 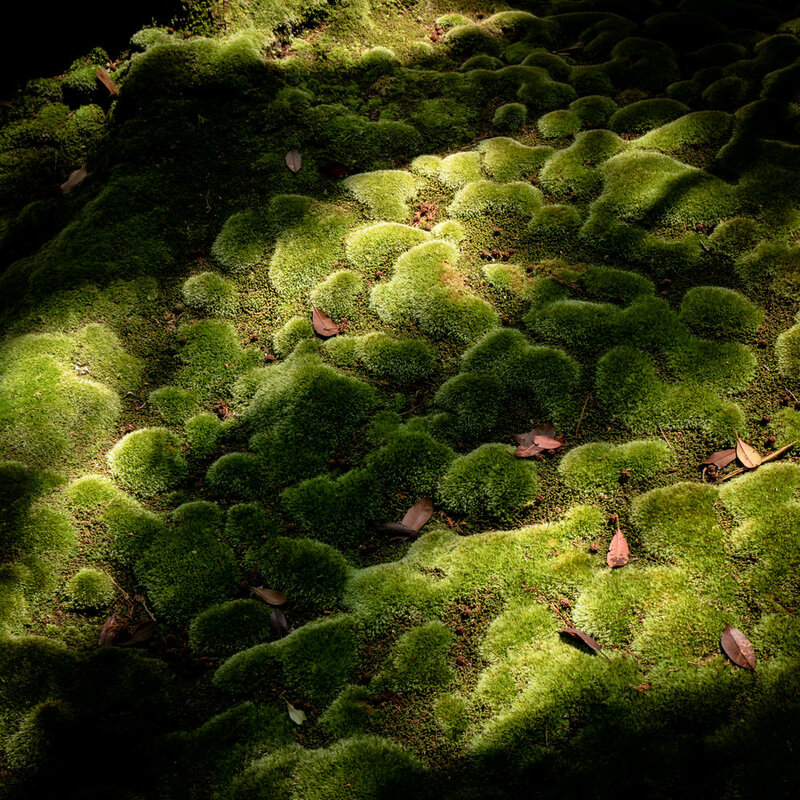 The soft carpet of moss, commonly associated with undisturbed nature, gives out the impression that the garden is wild, untouched by a human hand. To some extent, it is an illusion. Designed by one of Japan’s greatest gardeners, Saihoi-ji requires a lot of patient maintenance. But it is also true that beauty – especially in Japan – often results from happy accidents. 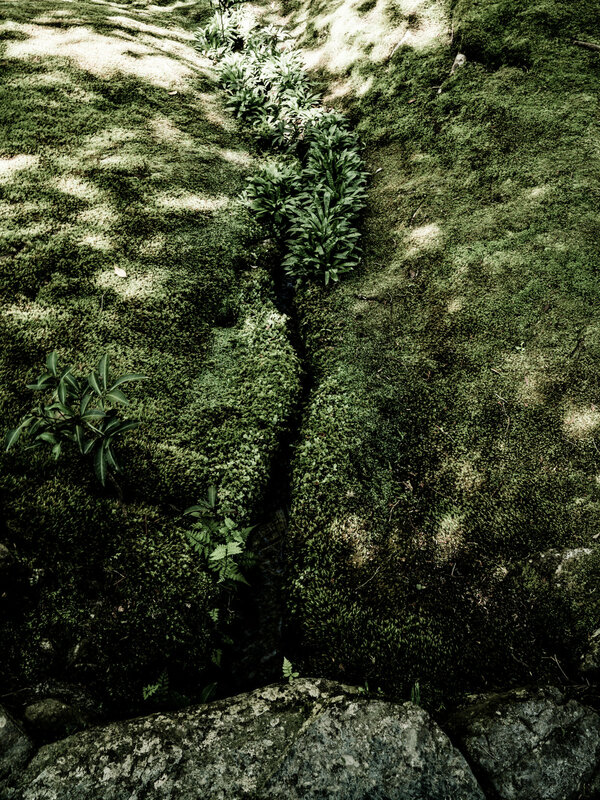 It’s certainly the case in Saihoi-ji, where accretions of age – changes, additions, but also wars, fires and years of neglect – have turned the garden into a place of almost ethereal quality. Originally established as a villa for Prince Shotoku during the Nara Period (538 – 710 A.D.), Saihoi-ji was turned into a Buddhist temple in the middle of 8th century. Entrusted with the task by Emperor Shomu was a leading priest of the era, Gyoki Bosatsu, who dedicated Saihoi-ji to Amitabha divinities and designed its gardens to represent the Western Paradise or Pure Land. It was during that time that a small pond in the middle of the garden was created. In subsequent decades, the Paradise was ravaged by wars and fires. When in 1334, a legendary Zen monk, poet, and gardener, Muso Soseki arrived, Saihoi-ji was overgrown and virtually derelict. Soseki converted the temple to Rinzai Zen Buddhism and gave it a new name – The Temple of Western Fragrances. He then set out to restore and enlarge the pond, shaping it like a Chinese kanji character for kokoro, which in Japanese denotes both heart and soul. Around the pond’s shore, the gardener-monk wrapped a meandering path, meant to encourage visitors to take meditative strolls. It was an innovative idea at the time and is widely believed to have led to the emergence of a new style in Japanese gardening. Notable examples of stroll gardens created shortly afterwards include Kenrokuen in Kanazawa, as well as Katsura Imperial Villa in Kyoto. In Saihoi-ji, Soseki also developed several new pavilions, which he arranged around the path in such a way so as to conform to the undulations of the terrain. In doing so, he also departed from the traditional symmetry of Shinden-zukuri, yet again inspiring a new style in Japanese landscape architecture – that of deliberate asymmetry. Perhaps most important of the monk’s undertakings was a dry rock garden, which he placed on the steep hill above the pond – a cascade of rocks symbolizing dramatic waterfall. Believed to be the first karesensui composition and the oldest extant meditation garden in Kyoto, it proved to be a milestone that revolutionized Japanese landscape aesthetics. Saihoi-ji profoundly influenced numerous Zen gardens created afterwards, including the legendary Golden Pavilion of Kinkakuji and the Silver Pavilion of Ginkakuji. Saihoi-ji itself burnt to the ground during Onin War (1467-1477), and then was ravaged by two disastrous floods. By mid-19th century, the site had been abandoned and the wilderness begun to take its course. Self-sown trees encroached on the wetland; then, mosses and lichens started to creep in. In the early 20th century Zen monks returned to restore Saihoi-ji yet again. 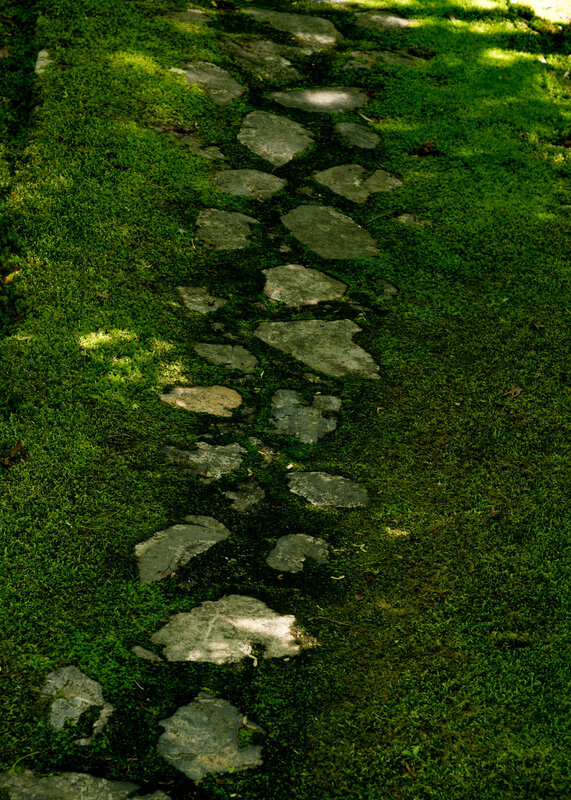 Because monastery lacked funds, they could not afford removal of the thick layer of moss. So instead, gardeners started tending to it. 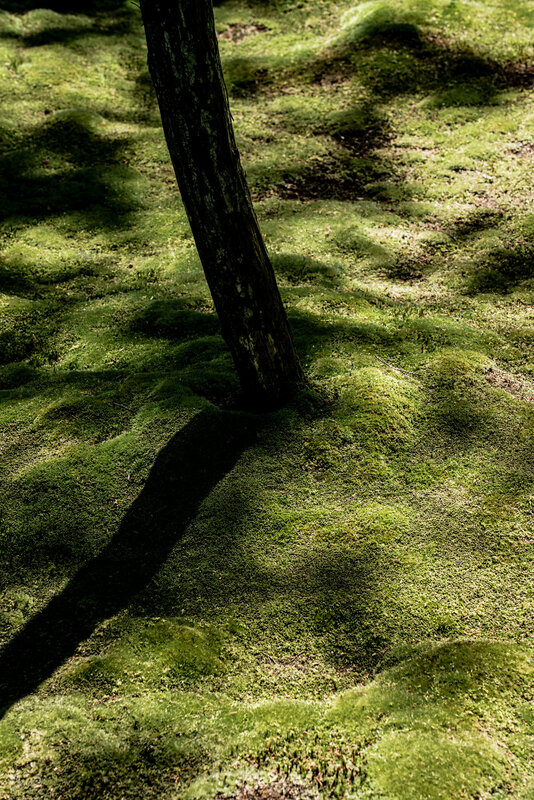 And so, moss came to replace the white sand previously strewn around the pond by Soseki. 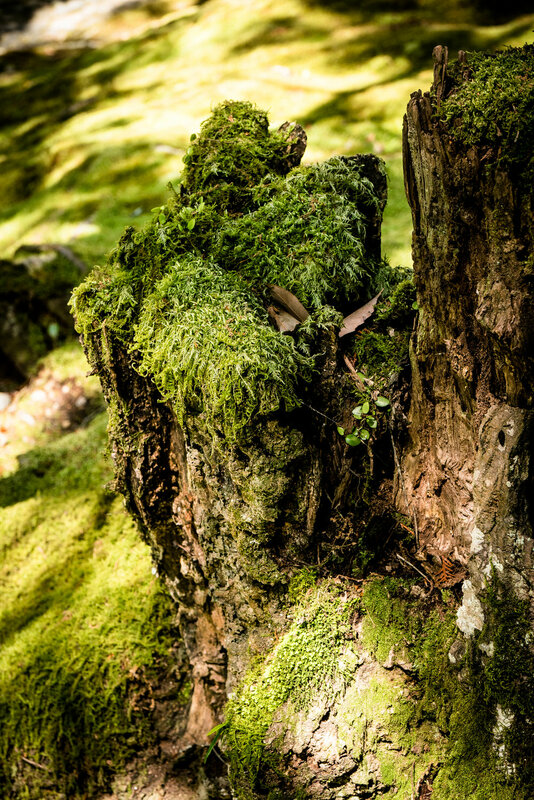 Its presence, a feature most associated with Saihoi-ji these days, inspired a new nickname – Kokedera, or the Moss Temple. There are some 120 different species of moss in the garden today. The plant thrives in dappled shade and damp air. 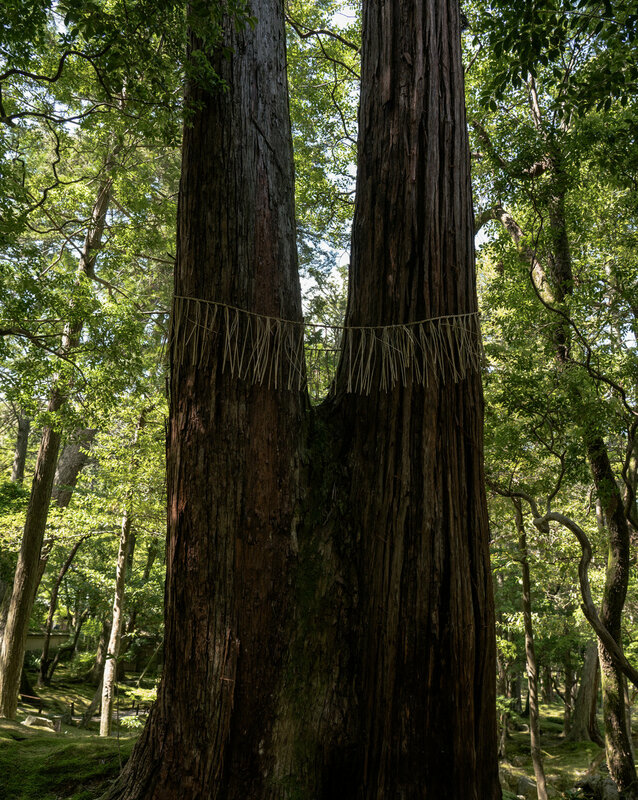 With its mature trees and heavy clay soil that retains water, Saihoi-ji provides plenty of both. The soft, green carpet unfolding under giant cedars, maples, and acer trees, stretches all the way up to the bamboo grove on the hill above. Surrounded by a clay wall, which isolates it from the temple buildings, the garden seems is very quiet and tranquil. In 1928, the temple grounds were opened to visitors. A few decades later, UNESCO, recognizing it as “landscape of special beauty,” designated the garden and its teahouses as a World Heritage Site. Predictably, popularity took its toll. Fragile moss is easily damaged when stepped on and takes a long time to recover. The monks decided to close the temple to the general public and now allow only limited number of timed visits (100 per day), which need to be scheduled well in advance.